Micromax to unveil another bezel-less smartphone. Back in September, Micromax announced the launch of the Canvas Infinity, its first bezel-less smartphone with a similar design as the Galaxy S8 and Galaxy S8+. The smartphone features an almost bezel-less design with an 18:9 aspect ratio display. Interestingly, this device carries a price tag of Rs. 9,999 making it an affordable full-screen smartphone in the market. Now, it looks like the domestic manufacturer is all set to unveil the successor of this one - the Micromax Canvas Infinity Pro. 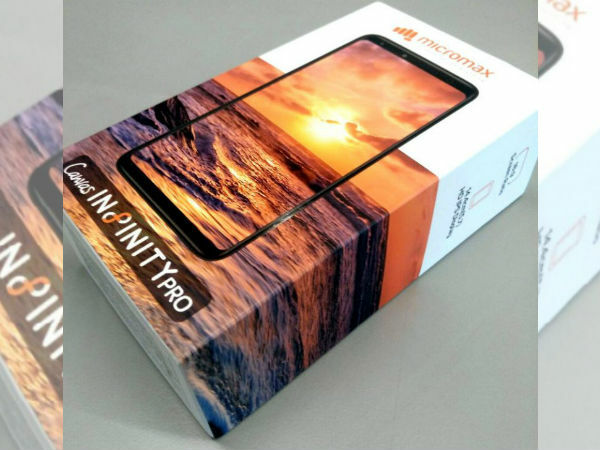 A report by GadgetsNow has leaked an image that looks like the alleged retail packaging of the Micromax Canvas Infinity Pro. The leaked image hints that the smartphone will also have a similar display as its predecessor. It is seen to sport minimal bezels at the sides and slim top and bottom bezels. The retail packaging also tips that the smartphone might adorn dual selfie cameras at the front. From the leaked image of the Micromax Canvas Infinity Pro, we believe that the smartphone will flaunt a 5.7-inch IPS display with a full-screen resolution and 18:9 aspect ratio. As of now, there is no official word regarding the other aspects of this upcoming Micromax smartphone. 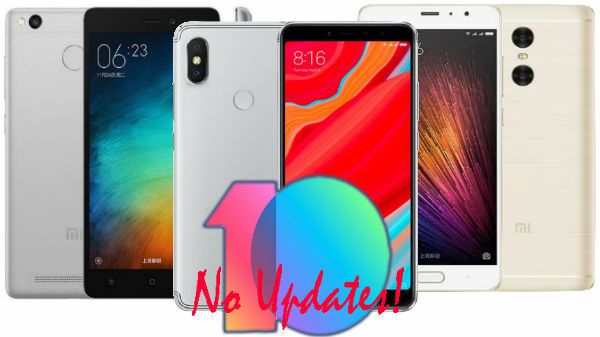 However, it is believed that the device might boast of a similar design without much changes except for the fingerprint sensor's positioning at the rear. But nothing is certain as yet. The report speculates that this smartphone might be unveiled later this month in the sub-Rs. 15,000 price bracket. We can expect to know the pricing and launch date details in the coming days via further leaks.